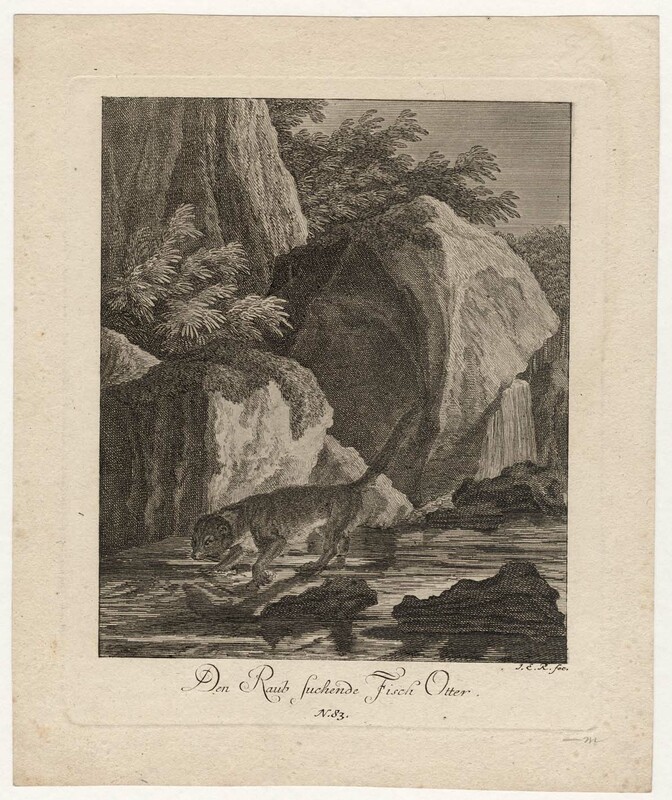 “Den Raub suchende Fisch Otter” (An otter hunting fish), 1740, from the series, “Entwurff Einiger Thiere, wie solche nach ihren unterschiedenen Arten, Actionen und Leidenschafften, nach den Leben gezeichnet, samt beygefügten Anmerkungen” (Some engravings of animals, differentiated according to their types, actions and passions, drawn after live animals, along with accompanying notes), engraved and published by Johann Elias Ridinger in Augsburg. 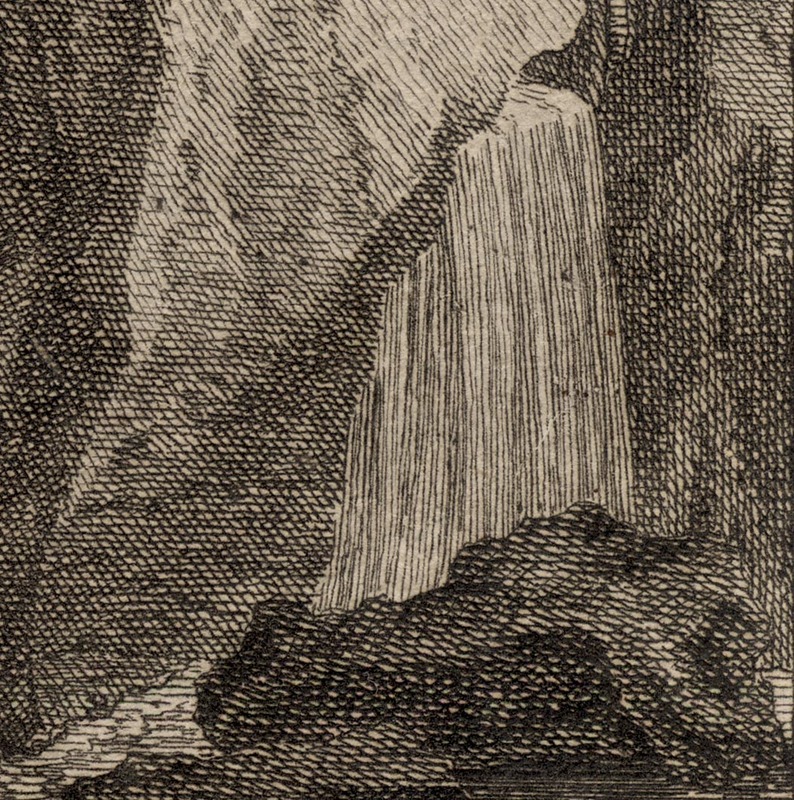 Etching and engraving on wove paper. Condition: excellent impression with margins (1 cm). 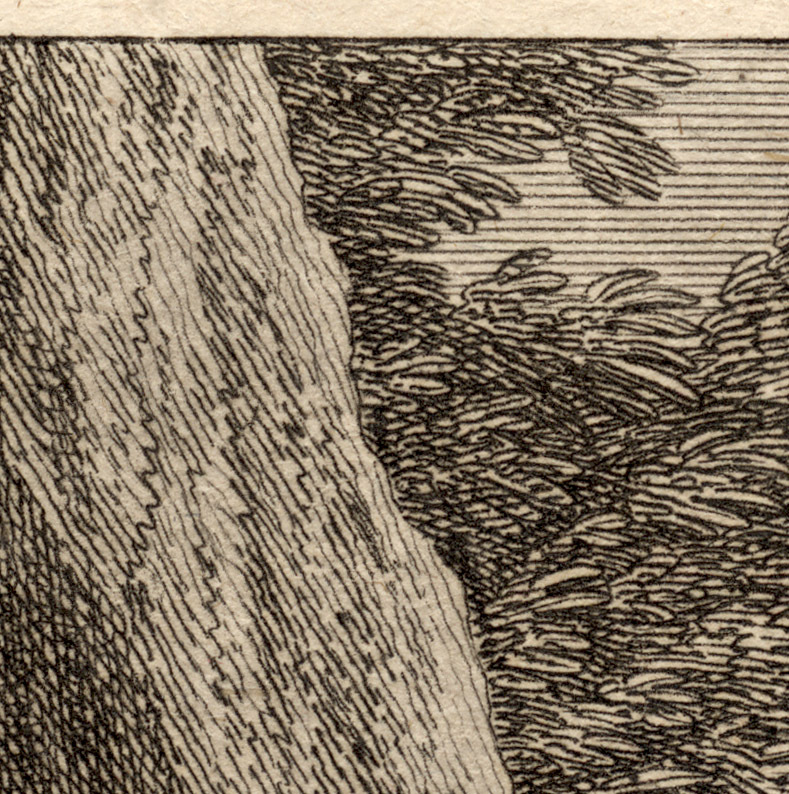 There are a few very pale spots of foxing otherwise the print is in excellent condition. I am selling this early engraving of an otter observed and drawn from life for the total cost of AU$136 (currently US$97.59/EUR93.39/GBP79.36 at the time of this listing) including postage and handling to anywhere in the world. 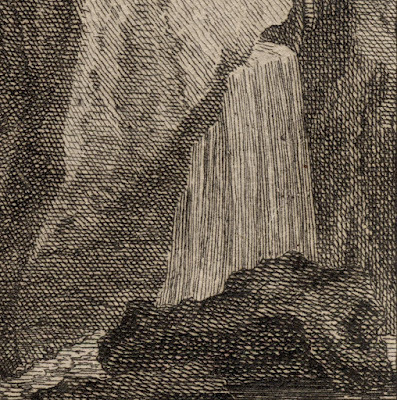 If you are interested in purchasing this superb print, described by the dealer from whom I purchased it years upon years ago as “a leaf of the utmost rarity. Searched [for] and very very expensive”, please contact me (oz_jim@printsandprinciples.com) and I will send you a PayPal invoice to make the payment easy. My last listing of a natural history print featuring a hippopotamus that looked like a beaver rather than a hippo raised a few concerns. Of course, the artist, Antonio Tempesta (1555?–1630), must have been poorly advised about the attributes of hippos as they are not covered in fur, nor do they have long toes and they certainly do not possess a monstrous tail that would make a beaver proud. 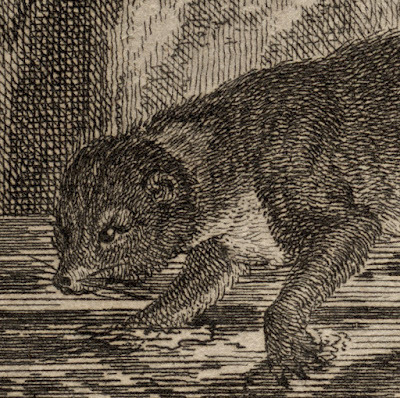 Nevertheless, the idea of what exotic animals looked like—or might look like—was very appealing to the 16th century audience who sought to purchase Tempesta prints. 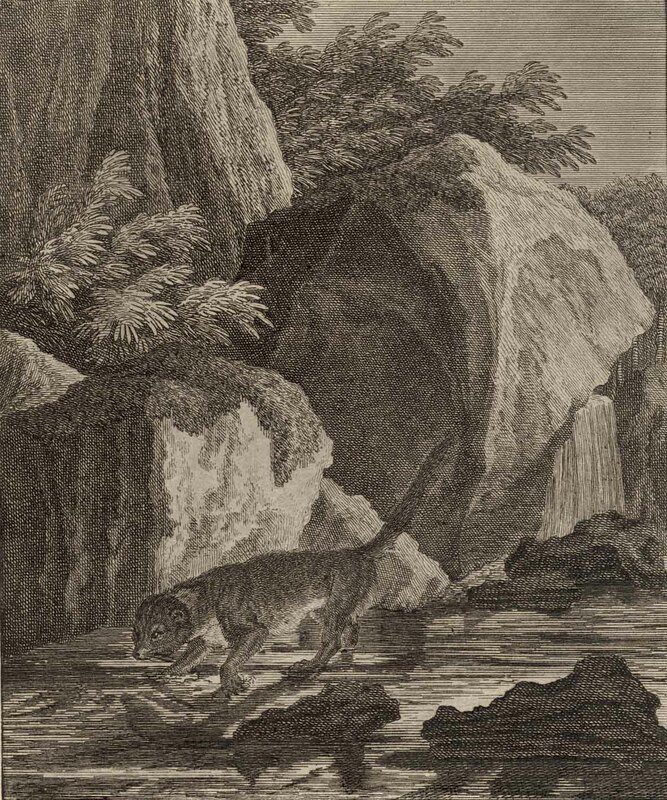 What I failed to mention in my last post was that the Hippopotamus engraving was one of a series of 206 plates in the series "Nova raccolta animali piu curiosi del mondo", featuring (amongst other subjects) exotic animals such as the elephant, rhino, crocodile—interestingly, his crocodile has a passionate interest in spiders—and a porcupine. In fact, so great was the interest in exotica at the time that this set of prints was published that, arguably, they inspired the first Wunderkammern—a cabinet of curiosities. 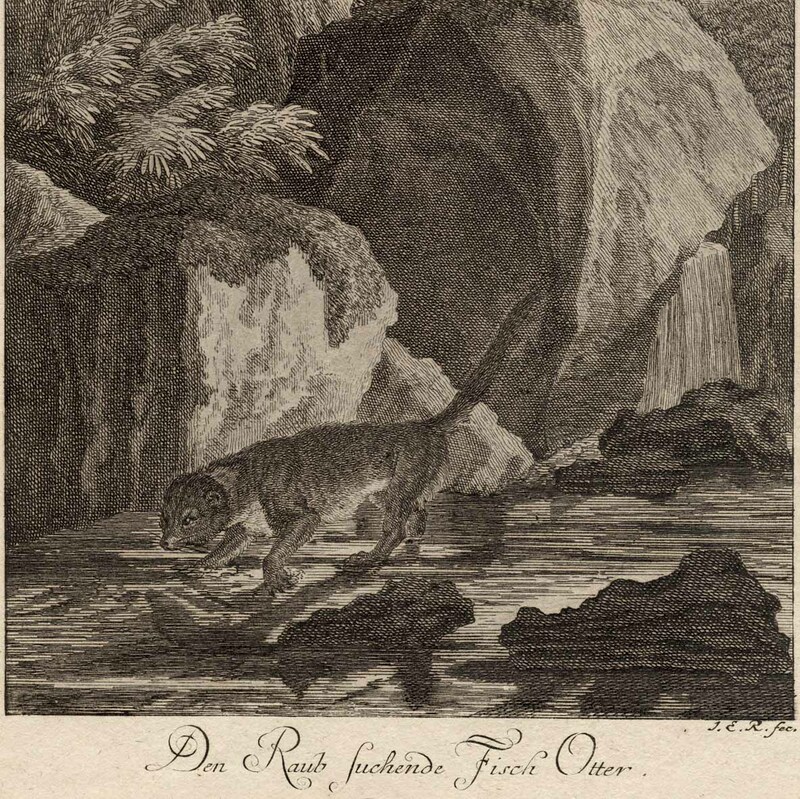 This illustration of an otter is a legacy of the Wunderkammern tradition. 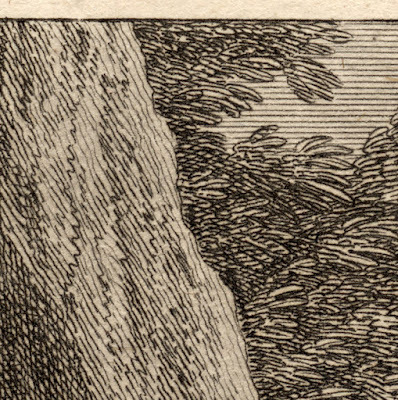 There is a large leap of mindset, however, from the 16th century to the 18th century. 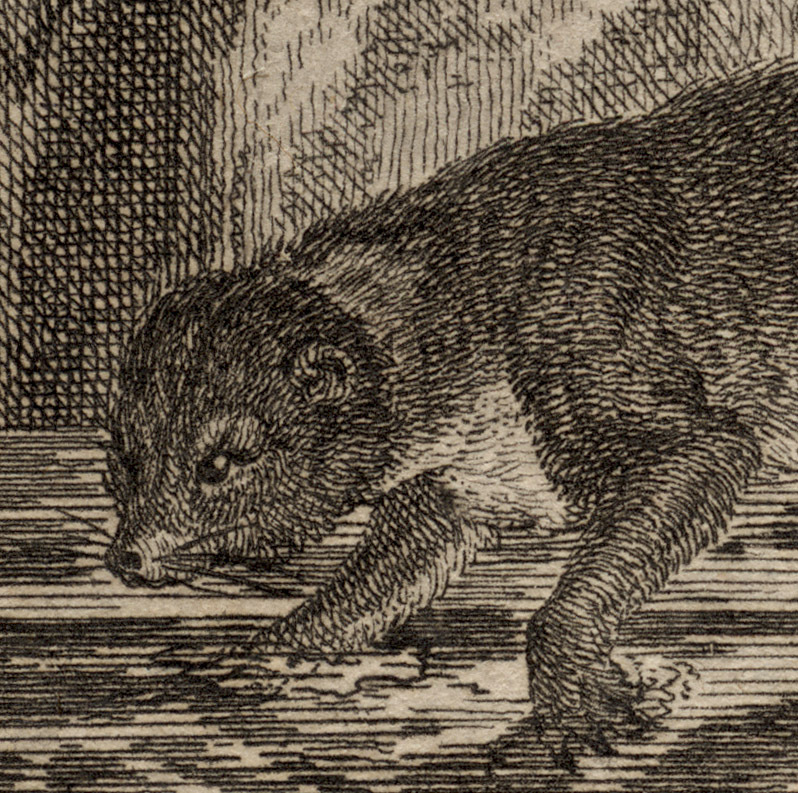 In the 16th century there was wish to be spellbound in awe looking at exotic animals, such as a hippopotamus. This desire was driven to a large extent by the fervour of “knowing” that these animals were God’s creation and, as such, to seek them out and to see them was tantamount to a religious obligation (I may be guilty here of proposing that I have factual data on which to base my claim about what a 16th century person thought about and desired—my apologies for this as I really do not know). 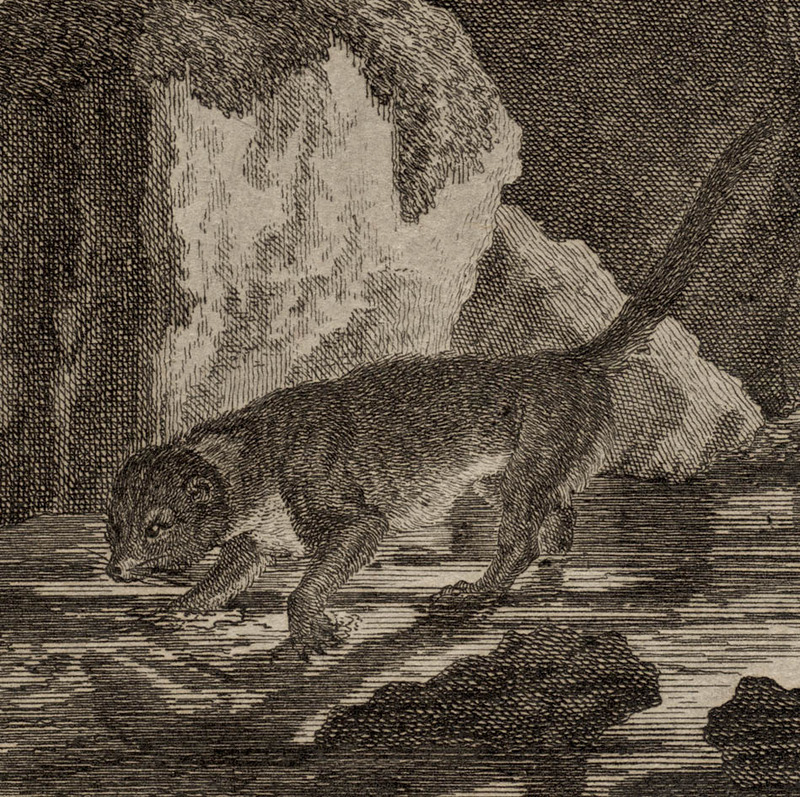 By contrast, in the 18th century, the awe of theology was built upon by a desire to scientifically catalogue everything, in particular, all living and extinct animals. This engraving of an otter, consequently, may not have been intended to shock and delight an audience like Tempesta's hippo, but rather to see the animal in a setting that were appropriate and believable. 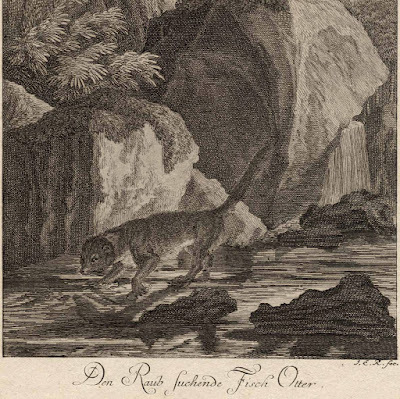 Indeed, Ridinger set himself the task when drawing this otter to observe it in real life and in its natural setting.